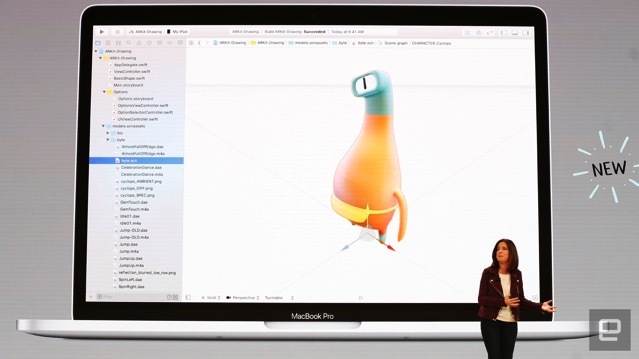 Apple has today announced a new AR module for its Swift Playgrounds coding app for kids at the educational event in Chicago, that will allow kids to code for Augmented Reality. According to Engadget, the module looks like an extension of an Augmented Reality challenge that Apple implemented last year using ARKit. For those who aren’t familiar, Swift Playgrounds is an app for iPad that makes learning Swift interactive and fun and requires no coding knowledge which makes it ideal for students just starting out. Students can solve puzzles to master the basics using Swift, a powerful programming language created by Apple and used by the pros to build today’s most popular apps. Apple has not announced as to when the AR module will be available in the Swift Playgrounds app, but it should be rolling out soon.